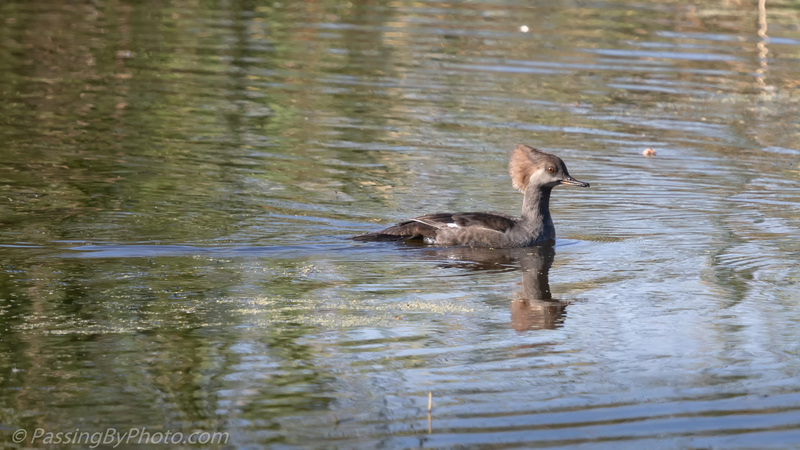 This Hooded Merganser was outnumbered, by Common Gallinules of all things. Gallinules tend to stick to the edges of any waterway and mind their own business except for their cackling squawks which always alerts the whole area to a photographer’s presence. Or so I thought. 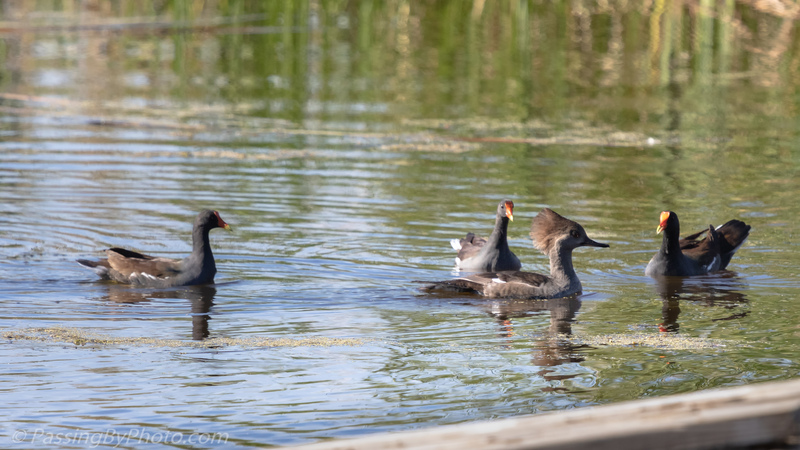 The Gallinules quickly got into the Merganser’s space. He tried out paddling them. 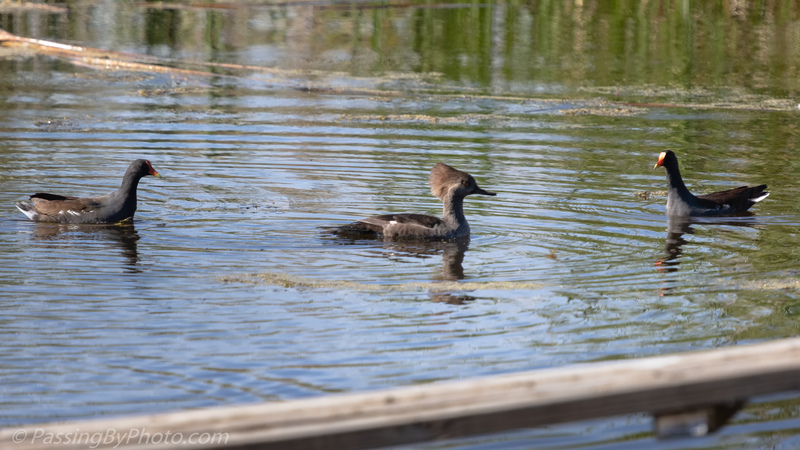 They followed so the Merganser opted to put some extra distance between them. Finally, a spot of his own. Poor merganser, he sure had to hotfoot it😊. Nice series Ellen! 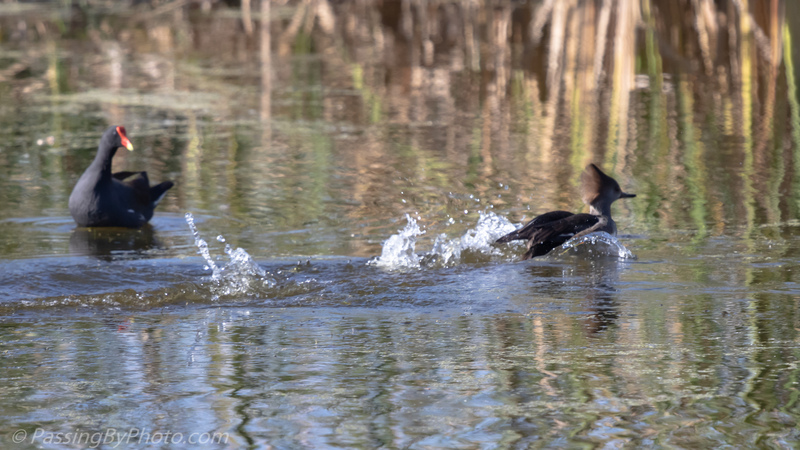 I’m not sure what the Gallinules’ intentions were, but they were serious about moving the merganser along. Thanks, Belinda! Me, too! 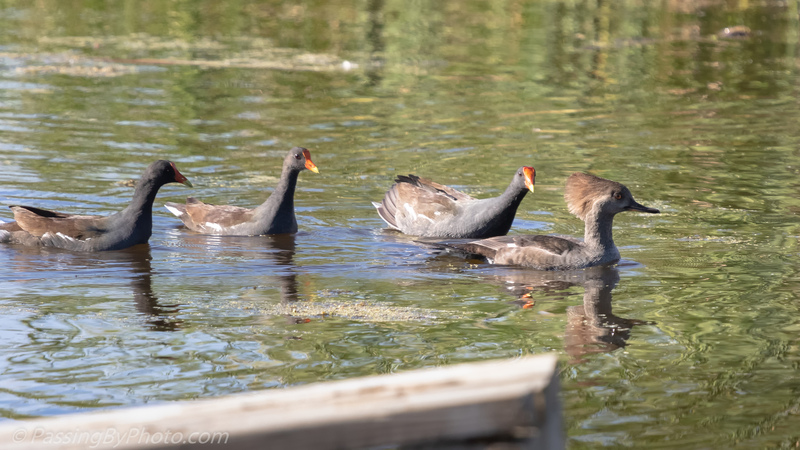 I had never seen a Gallinule do anything but hide or run no matter the commotion.